After a decade as one of the top concrete contractors in Bethel, CT, Hat City Pumping has realized how difficult it can be to determine which professional is the right fit for the job. While one company may specialize in concrete repair, another might come highly recommended for their wide selection of exceptional concrete services. How should a homeowner decide? The key is to ask questions. 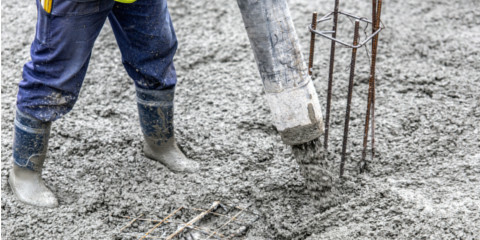 Hat City Pumping has fielded their fair share of client questions over the years and recommends this method for determining which concrete contractor is the best. Not only does it provide an opportunity to begin a conversation with your local professionals, but it gives homeowners a chance to learn a little more about these experts before entering into an agreement. Can You Give Me a Quote for the Project? Each concrete construction company differs in what they charge for materials, so make sure you collect quotes from the local professionals you’re considering for the job. This will give you an idea of what to expect when hiring a concrete contractor and where the average cost lies in comparison with your budget. Never accept the lowest bid right away, as it could indicate underlying issues with a company you don’t want deal with. Could You Give Me a Time Frame? If a concrete contractor is experienced in their craft, you should have no problem getting a solid time frame for the upcoming project. This question will give you an idea of how long the process takes and will reveal how knowledgeable the professionals are about their materials. Will You Supply a List of References? Always ask for a list of previous clients, as these are individuals who have had work done by the concrete contractors you’re considering. This will provide an opportunity to get firsthand accounts of what it’s like to work with these local professionals and whether or not their work holds up to the quality they claim it does. These three questions are an excellent way to start discussions with local concrete contractors. As long as you do your research and ask questions, you shouldn’t have any problem determining which company is the best fit for the job. To set up an appointment with a concrete contractor from Hat City Pumping, call (203) 790-7300, and visit the website for additional information.